Looking for easy mason jar crafts for fall? 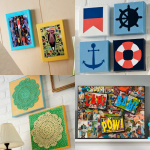 These make great hostess gifts, teacher gifts, or seasonal party favors. Mason jar crafts are all the rage these days, and why not? They are awesome. 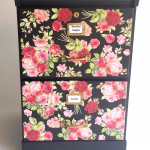 And SO easy to decorate with Mod Podge. Have you noticed this? 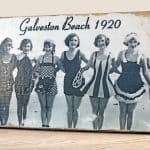 I thought this was a good craft idea for those of you who like to bring gifties over to people's homes for the holidays – so hostess gifts, or even just treats for family members who host you. Imagine a cake in a jar – cookies – hot cocoa . . . there are so many possibilities. So plan what's going in your mason jar gift and then get decorating. Here's how to do it. 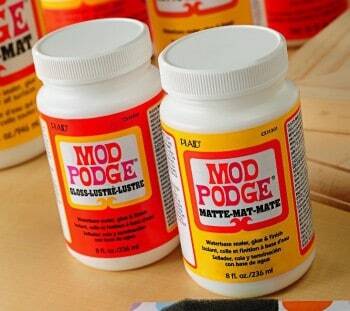 Start by preparing your fabric with Mod Podge. 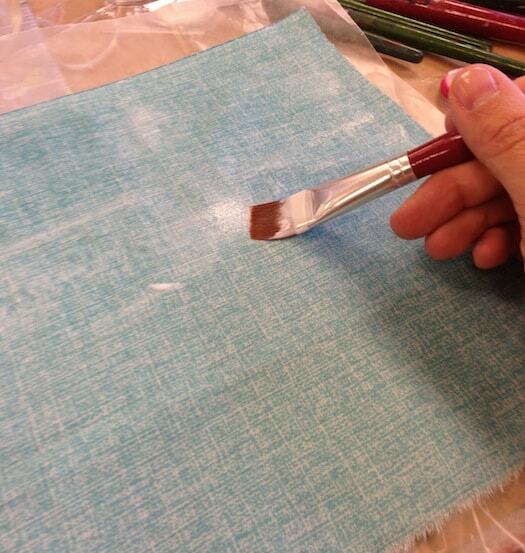 Place your fabric onto a non-stick surface (like wax paper) and paint a medium layer of Mod Podge on top – let dry. 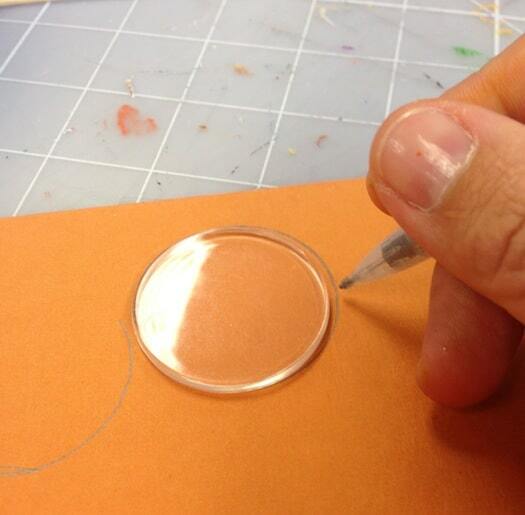 Do this so that when you cut the fabric, it doesn't fray. 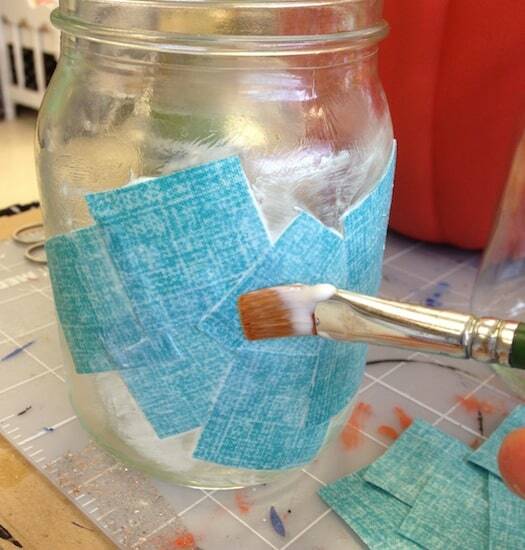 Make sure you have enough fabric to cover the jars. Once the fabric is dry, cut into several small squares. When you get to the edges, cut darts into the squares so that you can overlap the fabric around the round portion. 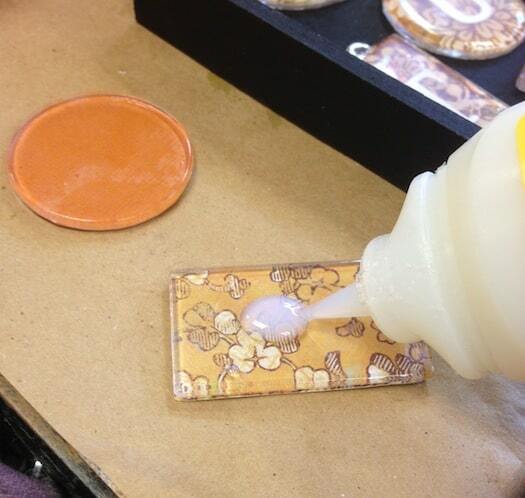 When you are done covering the jars in fabric, give them a final coat and let dry. Choose the acrylic shapes that you want to use on each jar (you can see in the main photo what I used, a circle and rectangle). 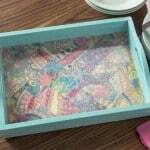 Trace the shapes onto scrapbook paper and then cut out. Glue your embellishments to the front of the acrylic shapes, and glue ribbon to the jars. Glue your embellishments on or tie to the lip with baker’s twine as shown. Your mason jar crafts for fall are almost complete. Let your jars dry, then fill with candy or other treats for gift giving. If you want to decorate a cake-in-a-jar and you already baked it, just make sure to keep the mason jar lid on when Mod Podging so that nothing gets on your food. 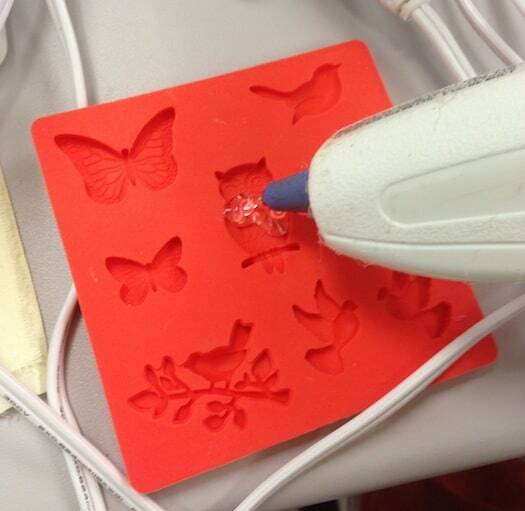 Besides that, Mod Podge as normal. Enjoy! These are Beautiful!!! & awesome Mold!! 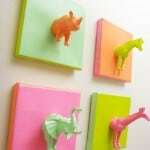 Going to have to find some of these!